The International Society for Technology in Education (ISTE) has announced ISTE U, an ongoing option for professional development around teaching and learning with technology. A group of educators trying to get a handle on what’s coming next in technology is working to build a new type of organization to track edtech trends. Video in the classroom continues to evolve the teaching and learning experiences in today’s classrooms as teachers search for new and innovative ways of engaging with students. At the same time, teachers’ observation skills continue to be the cornerstone to boosting student achievement. Effective video use in the classroom can cover these goals and many more. Swivl helps teachers, coaches, and administrators tackle their goals by making video easy, effective, and sustainable. Swivl is the world leader in classroom video observation technology in use in more than 30,000 schools around the world. 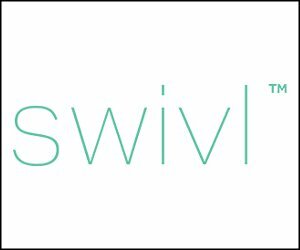 Visit Swivl’s website to learn more about effective uses of video in the classroom. If you’re attending ISTE 2018, make sure to visit Swivl at booth 1594. K–8 teachers can expand their horizons this summer by taking the online course “Thinking Like a Historian: Immigration History Through Primary Sources.” The course, which is offered by the nonprofit Primary Source, will take place online from July 11 to August 7, 2018. What is the true potential of augmented reality (AR) and virtual reality (VR) for online training? What should educators avoid when integrating AR and VR into eLearning course design?